Rainy day fund boosted within six weeks by several wins on The Health Lottery. 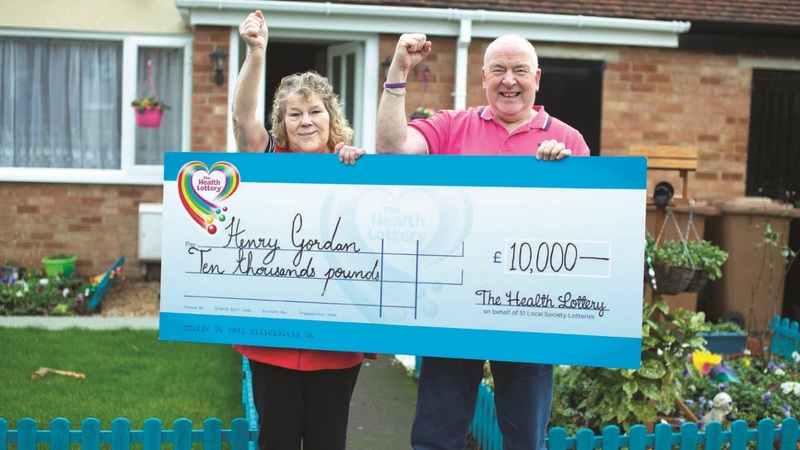 Health Lottery winner Henry Gordon and his wife Val, both 69 from Stamford, Lincolnshire, are proof that every dog has its day. It was Saturday morning, and we were just about to do our weekly shop in our local Sainsbury’s in Stamford, Lincolnshire. Then, as I passed the counter which sold lottery tickets, I spotted an ad for The Health Lottery. “Now that might be worth a try,” I said to Val. Val shrugged and said, “Give it a go!” I queued up, handed over a £10 note and got ten Quick Pick draws. “Not bad,” I said to myself. Scrolling down on my phone, I peered at the numbers on the screen. That couldn’t be right! “We’ve won!” I said, amazed. It turned out we’d won £10,000. There was certainly a spring in my step that morning as I walked Molly! Ironically, I’d just invested in a new car two days before our win, so we’ve put most of the money in the bank – our rainy-day fund. It’s only six weeks since we bagged our big one and we’ve already won again; two £20s and a £50. Maybe it’s not so surprising – you’re 21 times more likely to win on The Health Lottery. Who knows – next time it could be the big win of £100,000! 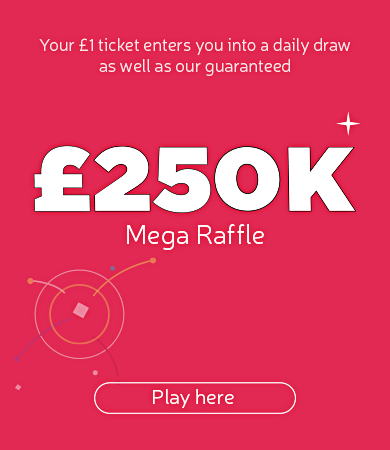 Play today in over 32,000 retailers throughout the UK or go online at www.healthlottery.co.uk or download the app and play on mobile or tablet.